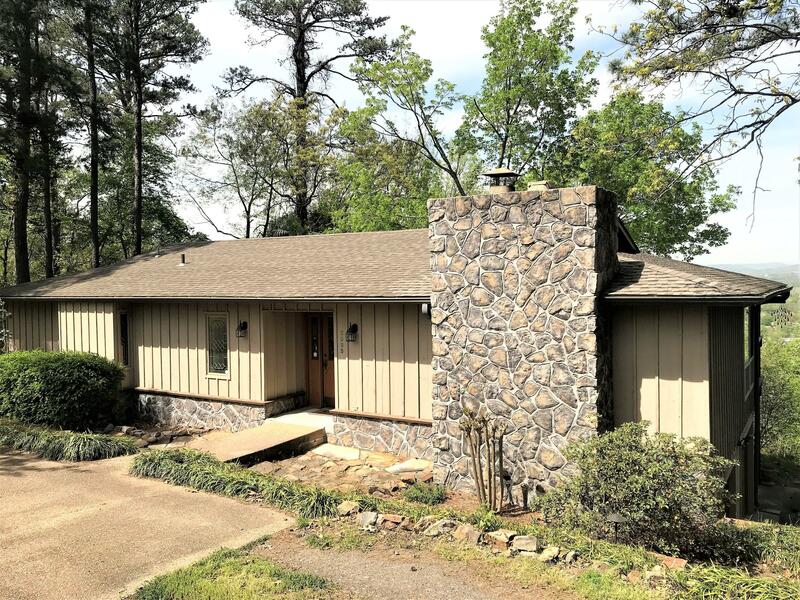 Skyline bluff home with beautiful views of Russellville below. 2 story home just under 2000sqft with 3 bedrooms and 2.5 baths. Open living/dining with wall length built-ins surrounding your fireplace. Back deck the length of the house with additional walk out and storage space underneath. Out building also included.